Police are appealing for witnesses after a house was broken into and a car stolen from an address in Luton on 31 March. 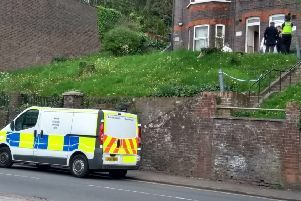 The incident happened between 1am and 8.10am at a house in Devon Road. A number of items were stolen including a white Gucci handbag, passports, an Xbox, an iPad mini, an iPad, two laptops, cash and cards. The keys to a car were also stolen which was then stolen from outside the house. The car is a purple Peugeot 107 with a registration number of LS63 XGN. Anyone with information is asked to contact DC Cunningham on 101, text 07786 200 011, or call Crimestopppers, anonymously, on 0800 555 111.